from Amazon @ $389.00 ea. 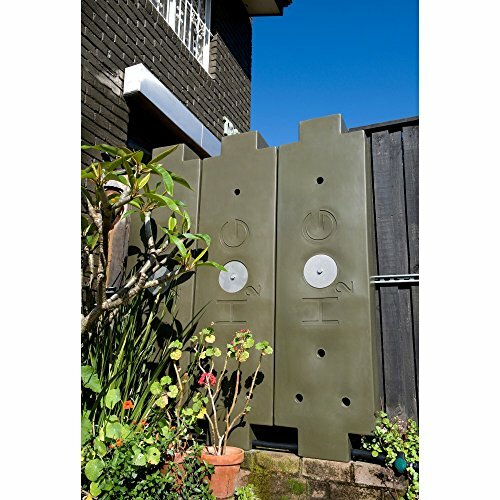 The ideal solution to the problem of rainwater or greywater storage in areas where space is at a premium, the Rainwater HOG Harvesting System has a streamlined design that allows it to fit where other tanks and barrels can't. With a smart modular design, the HOG can be extended and its capacity increased bit by bit and in multiple locations around your house simply by adding more modular HOGs. With a narrow profile, it's the perfect water storage solution along side walls, down narrow passages and underneath decks. 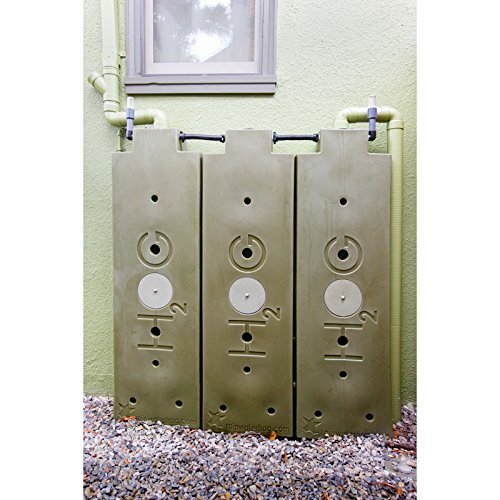 Use it vertically or horizontally, the Rainwater HOG is adaptable to almost any situation. Keep in mind that each HOG can hold up to 440 lbs. of water so your supporting structures must be engineered accordingly. 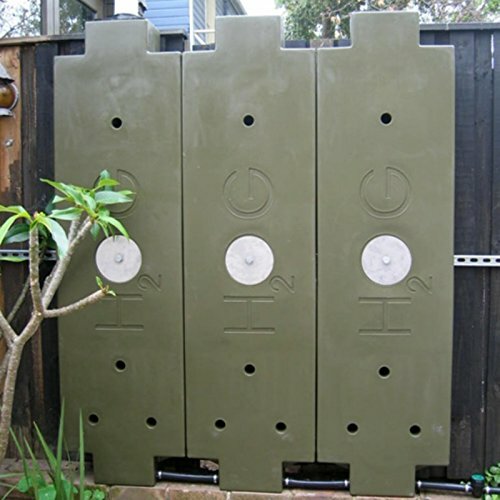 Use the 50-Gallon Polyethylene Rainwater HOG modular tanks to catch and store rainwater off your roof for reuse on your garden and even in your house. Rainwater is perfect for watering your garden, or flushing your toilet. Rainwater stored in your food grade HOGs can be used as an emergency potable water supply. Rainwater is soft water, meaning it won't cause a build up of calcium in your plumbing like hard water can. You can even drink rainwater as long as your roofing material doesn't contain toxic materials. You will need to add a first flush diverter to the fine screen filter in the inlet kit to make rainwater suitable for drinking. Note: For easy access to the water stored in your HOG, be sure to also pick up a HOG Outlet Kit (sold separately). This attachment has an inlet screen filter and an easy plastic outlet ball valve that puts you in control of the flow. Note: To mount your HOG system to the wall as shown, you'll also need the HOG Wall Kit (sold separately). This secure mounting system holds 1 HOG and includes everything you'll need to securely attach it to your existing structure. Made of FDA & BPH compliant food grade plastics. 100% recyclable materials, made in the USA.